Upon her official appointment in 1982, Huntington Town Clerk, Jo-Ann Raia made it her prime objective to attend to the town's voluminous records. Since that time, she has continued to appreciate the significance of maintaining and preserving records which document the functionality of town government. Mrs. Raia, also, so graciously secured $156,346.00 in State Grant funding for the Town of Huntington to establish its Records Management Program. The Records Center, an essential part of the Town Clerk's Office, opened in 1989 and houses roughly 6,542 cubic feet of inactive records. It's main function is to provide storage for these inactive records, as well as, process retrieval requests submitted by all Town Hall departments. Consequently, it is also responsible for carrying out periodic dispositions sanctioned by regulations distributed from the State of New York. 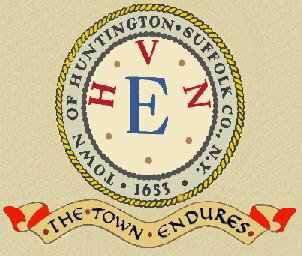 The Huntington Town Clerk's Archives was established in 1993. It houses 1250 linear feet of historical documents, dating back to 1653, which document the Town's origins and growth. The Archives is committed to preserving records of historic value generated by all Town Hall departments. It is the policy of this repository to make its collections available to the residents of Huntington, the broader academic community, and the general public for the purposes of teaching, researching, publishing and exhibiting. In doing so, the Archives reflects the vision of the Town's Officials to better serve the community's legal, fiscal, and administrative needs. Since its inception, the Huntington Town Clerk's Archives has earned recognition from New York State and several other professional organizations. It was the recipient of the 1995 MARAC (Mid-Atlantic Region Archives Conference) Award. In 1996, the New York State Archives & Records Administration awarded our repository with the "Archives Week Award" for "Excellence in Local Government Archival Program Development." A "Certificate of Commendation for the preservation and access to Huntington, New York, history" was awarded to the repository the following year by the American Association of State & Local History.